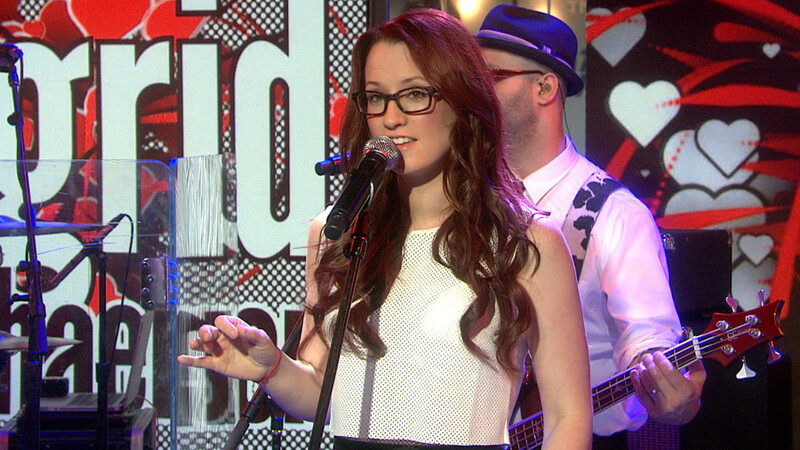 Ingrid Michaelson is finding a lot of new fans thanks to her latest song, "Girls Chase Boys." The video spoofs Robert Palmer's 1988 video for "Simply Irresistible," and has been viewed more than 1.5 million times on YouTube, helping the song grow in popularity. "Girls Chase Boys," Michaelson told TODAY's Carson Daly on Tuesday, "is a universal breakup song. No matter who you love, how you love, we all want love, and so I took that theme of gender bending and I did a role reversal — a gender reversal — with that Robert Palmer video." Acceptance seems to have followed a shakeup in her routine, Michaelson said. "I've always done just me writing all the songs, and one producer," the musician explained. "This time around, I kind of felt I wanted to change things up and do things differently, so I wrote with 11 different people and I worked with six different producers." Though she's finding success with her new tune, the indie singer/songwriter is no newcomer. She's been recording for more than 10 years, has had numerous songs featured on TV shows including "Grey's Anatomy," "Bones" and "The Vampire Diaries." Michaelson's fifth album, "Lights Out," is available now.